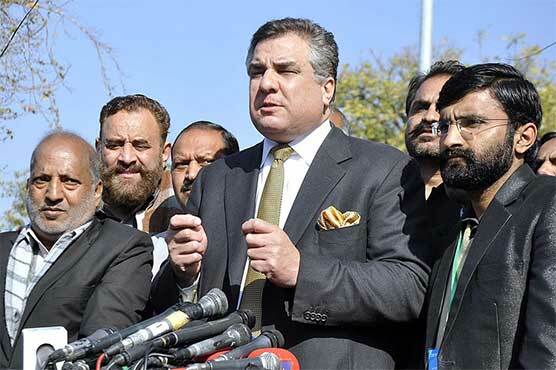 The Supreme Court of Pakistan (SC) on Tuesday has issued a show-cause notice to Federal Privatisation Minister Daniyal Aziz and given him deadline till Feb-23 to submit a reply in contempt of court case. A three-member bench headed by Justice Sheikh Azmat resumed hearing of the suo motu notice today (Monday) here in Islamabad. The bench stated — in prima facie — Danyial Aziz has been found guilty of contempt of court as per TV recordings and newspapers’ clippings dated 9th of June-2017, 15th and 31st of Dec-2017. It is pertinent here to mention that country’s top court, in a separate hearing, has also rejected Pakistan Muslim League Nawaz’s (PML-N) leader and State Minister Talal Chaudhry’s plea to adjourn the hearing for ten days.